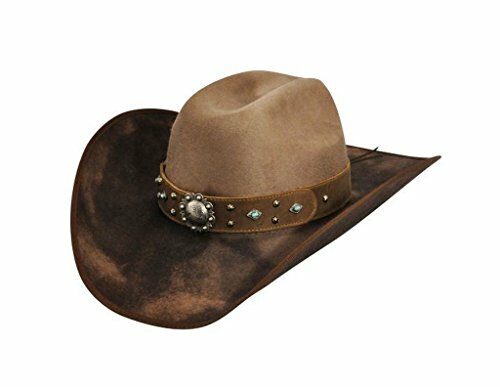 Lorelei is a polished wool felt hat, dip dyed with a bound edge, and a leather band that is adorned with berry and turquoise studs with a large concho front and center. Brim 4". If you have any questions about this product by Bailey Western, contact us by completing and submitting the form below. If you are looking for a specif part number, please include it with your message.